Astrology has an enormous history dating back thousands of years and although the precise beginnings may not be well known we do have ample records to show that it pretty likely emerged during the times of the Vedas in ancient India. There are sages in this ancient tradition who divulged secrets that still to this day cannot be unraveled with the rational mind. Much of their work was gleaned through their incredible intuitive powers and astrological giants such as Parasara and Jaimini set the foundation for not only the Eastern Hindu tradition of astrology but the basis of the science, much of which was to come later through the Persians and Greeks etc there is some dispute about the origin being a single one and historically we can indeed see that the Mayans, Persians, Egyptians and even the early Europeans all have their own systems which tended to correlate the celestial events with what was happening here on planet earth. The roots of astrology go back to the dawn of man himself but even as far as 3000 years ago the great Hindu sage Parasara expounded the principles of sidereal astrology also known as Vedic astrology. His monumental work Brihat Parasara Hora Shastra is a classic work and basic reading for any astrologer who wishes to pursue this branch of study. Around the same time in Mesopotamia the Chaldeans built some of the earliest “observatories” called Ziggurats which were like watchtowers used for stargazing. Some of these were up to 300 feet in height. And it was the Chaldeans who sliced up the celestial sphere into the 12 star signs as we have come to know them. There were of course others not just the Indians and Chaldeans who were practising astrology but the Egyptians and also Babylonians had their own wealth of knowledge to contribute. Later down the historic track around the fifth century BC Chaldeans made their way to Greece and in fact had a great impact on Plato himself. Plato in fact referred to the visible planets, the Sun and the Moon as visible Gods show just how much of an affinity he felt for the subject. RELATED: Find out more about your star signs here! Astrology is generally thought to be a system of prognostication, by which we can daily purchase the newspaper and look at each of the 12 star signs, one of which will relate to the precise date and month of birth we are born and from that we are supposed to see what events will unravel on the day, the month for the coming year in question. Astrology is a much deeper and more complex subject that really will only help those who are prepared to ask the hard questions in life such as: Why am I here? What is my purpose in life? What is my relationship to the universe? Is there some underlying abstract intelligence which like some puppeteer is pulling the strings on each of our lives and therefore determining our destinies? These questions will only arise when one’s karmic quantum has reached a sufficient level that a degree of dispassion arises within one’s heart with a sense that material existence including all its relationships, desires and achievements are seen to be ephemeral and the quest for something more permanent takes root in one’s heart. Astrology is indeed the key to answering many of these questions into giving you an insight into the process of karma, how it works and how the planets innermost incredible way reflects these transmigratory processes. To understand destiny, astrology asserts that psychological processes, the emotional and mental temperament of an individual are the predeterminant of what will happen in future. Thinking is indeed destiny and through this more detailed analysis of the proclivities of the mind, astrology is able to see what is likely to happen. There are many divisions of astrology and several of those branches include natal astrology, which is the study of one’s birth chart at the precise time and place of birth. diagnostics of health and disease and even discusses ways in which the person can be healed. This is also similar to the Hindu Vedic astrological concept which goes even further in utilising such things as propitiatory methods, appeasing the planets, charitable works and other ritualistic actions which can somehow neutralise the influence of these planetary forces on one’s life. Horary astrology the fascinating branch dealing with the answering of questions and preparation of horoscopes for the precise moment a question is asked. Political and mundane astrology deal with the horoscopes of nations and political leaders and deal with the historic trends of a country as well as the environment for example the prediction of earthquakes, pestilence, floods and even economic modulations. Wars, treaties and other political developments seem to follow astronomical trends for example lunations and in particular solar and lunar eclipses. Plotting major events throughout history does seem to correlate more or less to these celestial events and more recently connections to the sunspot cycle are being investigated to see how this can impact on humans as for example an increase in heart disease, strokes et cetera during these sunspot peaks and troughs. There is a growing body of evidence to suggest that astrology does in fact express the intimate link between the course of human life and planetary movements. The Zodiac is divided motivationally by the elements. The fire signs of Aries, Leo and Sagittarius constitute the impulse of duty. The earth signs of Taurus, Virgo and Capricorn represent the wealth impulse. Gemini, Libra and Aquarius indicate the pleasure principle and Cancer, Scorpio and Pisces, the occult and spiritual pathways. The process of re-incarnation and karma may be evaluated by scrutinizing the geniture (horoscope) of an individual. The predominance of planets in, for example, Karma signs would indicate a current incarnation tending towards desire and fulfillment of a passionate nature. Depending on the strength and other dignities of the planets in question, the use of these energies, and whether or not spiritual growth would result, is then ascertained. The categorization of human beings is not exactly a cut and dry process, as is generally being presented. Each zodiac sign in unique and the myriads of combinations need to be carefully balanced to assess the karmic grade of the present life. Of course, current high grades may not necessarily ensure high grades in future births. The resultant karmas and their exhaustion need to be analysed to see what benefits or lapses will accrue at the end of this incarnation. As we successively evolve through series of lives, we associate with the star signs under which we are born. In fact we express those very qualities inherent in the cosmic patterns. Each of the signs of the zodiac is represented by a symbol or glyph, depicting the evolution of the soul through twelve different stages. The glyphs express the deeper more esoteric aspects of astrology and reveal inner evolutionary trends, as individuals and as parts of a vaster network of universal energies. The glyph represents the horns of the Ram and is an Egyptian symbol. On a more esoteric level, the symbol stands for the upward flow of spirit – as in a fountain, the Universal consciousness in its creative aspect. It can also be said to represent the sprouting of a seed, from which germination results in the tree and fruit. In its seed form, it represents potentiality. As the symbol appears to move upward, outward, then downward it signifies the ultimate sacrifice of spirit in its descent into the realms of matter. Find out more about your Aries star signs HERE! The Taurean glyph on the purely material level of representation appears to look like the head of a bull, for which Taurus stands. The esoteric view however, is that the circle represents the divine spirit, and the crescent above the flowering, or blossoming of spirit in that materialization process. Taurus is earthy, fixed and stubborn like the bull. Its action in the world is decisive and energy isn’t frivolously diffused without purpose. Find out more about your Taurus star signs HERE! At this stage of manifestation, the spirit enters the phase of duality. As thought reflects the subject – object expression of spirit, the twins become an apt symbol for the “division” of spirit, representing polarity. Within the material world or manifested state, all things oscillate between positive – negative, up – down, right – wrong, in – out etc. Gemini therefore symbolizes this polarity. The two vertical lines represent male and female – as division. In a sense, the act of reproduction is governed first by Gemini. Find out more about your Gemini star signs HERE! The glyph of Cancer represents the breasts of a woman. The symbolism depicts the nurturing caring qualities of motherhood. In the same way, spiritually, all the creative and loving qualities are inculcated by the symbol – which signifies the womb of time, in which all manifestation takes place. Find out more about your Cancer star signs HERE! Leo, the 5th sign, represents creativity and childbirth too. The glyph looks somewhat like a sperm cell – the beginning of life. Within the seed is the creative power of life. The early writings depicted the glyph as representing the tail of a lion, which is the emblem of the constellation. Find out more about your Leo star signs HERE! The Virgin represents Virgo. Its glyph is comprised of three vertical lines and another crossing and joining the uppermost portions. In early mythology the goddess of grain and food, Nidaba (Egypt) was represented by Virgo, but the spiritual symbolism is much deeper. These three lines represent the powers of nature acting within the media of time and space – they are action, inertia and harmony. The additional line crossing and joining creates tension – which is the struggle of the spirit in its natural evolution. Virgo is one of the most sensitive and delicate of the Signs. Find out more about your Virgo star signs HERE! At the point of Libra, Spirit is established in its material expression and ready to ascend back to its original pristine state. The symbol of Libra is balance, indicative of the equation of matter versus spirit. It is the junction point of the world and that which is beyond. Find out more about your Libra star signs HERE! Though similar in shape to Virgo, the icon for Scorpio differs in that it has an arrow as an extension which points upwards. This upward energy describes the upward movement of the soul in its journey homeward, after the tremendous struggle in Libra. The sign of Scorpio is misunderstood if it is only regarded as death – for Scorpio signifies more the rebirth or regeneration of the being after the death of the ego. Scorpio is therefore the sign of spiritual initiate. Find out more about your Scorpio star signs HERE! The arrow at the end of Scorpio’s glyph is now airborne and flying towards its destination is Sagittarius. The arrow points upwards, towards spiritual horizons. This ties in well with the meaning of Jupiter who is the ruler of this sign. All the spiritual and higher faculties of man become fully activated at this stage of evolution. The movement of an arrow is direct and Sagittarius too is powerfully vital and spiritually directed energy. Find out more about your Sagittarius star signs HERE! 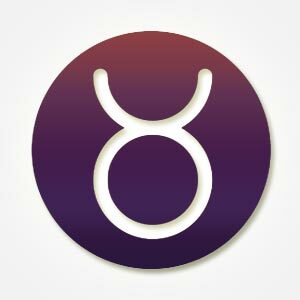 The glyph of Capricorn is a complicated one and reveals the complexity of those born under its influence. Though Capricorn is a material sign, the emblem represents the influx of spiritual energy directed to material pursuits. The “V” shape is the inversion of spiritual force and the downward and inward tucking of the arc reveals the introverted nature of that power. It is through self sacrifice, especially in work and money that the Capricorn native excel. This can be transformed into spiritual benefits too. Find out more about your Capricorn star signs HERE! Though being an air sign – Aquarius has as its glyph the waters of life. The fluid design reveals the spiritual nature of Aquarius. It is often shown as a person pouring water from a pot. This indicates the brotherly, humane manifestation of spirit at this point. Water is cleansing and purifying and at the Aquarian stage, represents the larger human family and a desire for group awareness and healing. Find out more about your Aquarius star signs HERE! The two semi circles are joined in the center together and represent the incoming and outgoing stages of evolution. Both are actually one and the same – being found to be the case only in the center – the Self. Pisces is the final stage of Spirit’s evolution and requires complete self-abnegation if the two seemingly unrelated facets of creation are to be unified. Find out more about your Pisces star signs HERE! The spiritual texts of ancient India, the Tantras and Vedas, reveal the most sophisticated esoteric and secular information. Such recent discoveries as the sub atomic nature of matter, the speed of light and other highly advanced concepts in mathematics and planetary mechanics were all dealt with thousands of years ago by intuitive Vedic seers. These progressive insights are truly astounding and humbling. Jyotish is a Vedanga or one of those Vedic “limbs”. It was also thoroughly advanced in its development alongside other Vedic Sciences. As the New Age is dawning a fresh model of astrology is required. Human consciousness is evolving beyond the Solar to the Galactic level. Sidereal astrology is now re-emerging as a means of reflecting this process and reasserting its glorious heritage. The word “horoscope” means “the hourly pointer” and referred originally to the degree of the sign rising on the Eastern horizon at birth. It now means more than this: A horoscope is a map of the heavens erected to determine the destiny of a person born at a specific time and place on the Earth. This is not to be compared with the “solar horoscope,” which is not a map of the heavens, but merely a statement of the sign of which the Sun only, is centrally placed, and their reading of such a “solar horoscope” is based on this one factor alone. (A horoscope is sometimes called a Nativity, and the person whose chart it is, is termed the Native). From our definition of what a true horoscope is, it will be seen that it is necessary for the Astrologer to know the birth, before he can make an accurate horoscope which of course can give an accurate forecast of events. The horoscope will show, if read intelligently by a competent Astrologer, the person’s most beneficial planets and the departments of life most likely to be lucky. The horoscope is derived from the Zodiac which is the pathway of the Sun, Moon, and planets and lies like a belt round the Earth. It is invisible, and we can only detect its position by noticing where the planets are at night, just as one can trace the yourself a distant road at night by watching the tights of the traffic passing along it. The fixed stars are not limited to the Zodiac, such as Antares, Aldebaran, Castor Pollux, and Regulus. At all times and places half the Zodiac lies above the horizon and half below it. Astrology has traditionally been viewed as a series of celestial forces compelling us to behave in ways over which we have very little or no control. This old-fashioned view of astrology has relegated you and I to the cosmic stage as if we were puppets at the disposal of the planetary puppeteers having been destined to our fate and fortune, for either good or bad. This may or may not be true but what are we supposed to do…lay down and just cop it sweet? Out with the old and in with the new! A new, practical form of astrology is essentially based upon insight and foresight. This gradual unfoldment of our highest potential is indeed self empowerment through astrology and it impacts on our character, relationships and the events of our lives. This process continues through the universal principle of Karma or which echoes ?for every action there is an equal and opposite reaction’. Our human lives and our destinies are interwoven with this law. These two components of astrology can assist us. Insight is the wisdom we gain by understanding ourselves, our personalities and how our strengths and weaknesses can be brought into balance. It is through loving relationships that we come to understand our true selves even more. Astrology can therefore offer us these unique revelations by indicating which star signs are more or less compatible with us. Through studying astrology these insights become easy to grasp and apply yet are fun as well. Another aspect of astrology which is often overlooked is that branch which allows you to select the most appropriate times for commencing different work and other important activities and crucial life events utilizing the best planetary aspects for your maximum benefit and impact. The old style of astrology was called electional astrology, but let’s just calls it common-sense wisdom. Astrology can help you choose from dozens of dates to plan such things as travel, birthdays and parties, house building or moving, weddings and engagements, job interviews and many other daily activities. This system of astrology will provide you with several peak dates to choose from in any given month to maximise your opportunities. Imagine applying this to enhance your planetary power and aura to gain a job or win a lover’s attention. This is astrology at its best and how it was meant to be used. You can now be part of this modern self empowerment process. We hope you continue to deepen your insight and use your foresight to even greater advantage through visiting our site. I hope you are peaceful, healthy and prosperous throughout the coming year. To know more about your zodiac signs. Click HERE! The January 2019 Solar Eclipse-New Moon In Capricorn Signals a NEW YOU! !